Poet, dramatist and novelist, priest. He graduated in wood craft and from the Comenius Protestant Theological Faculty. He has worked as a forestry worker, a tutor at the Jedliček Institute and after the Velvet Revolution as an evangelical minister in prisons. He founded the Medard publishing company. He was born in Prague on 28 June 1960. What Have You to do With uas, Jesus of Nazareth? Co ji to do nás, Ježíši Nazaretský? The small-scale, almost minimalist prose of Petr Pazdera Payne is not just pleasing at first sight, more importantly it is true. Within it there is hidden humility, wisdom, but also lust, and it is evidence that with the correct choice of words – those formulations by Democritus – it is possible to say many important things without the need of magic or spells. He made his literary debut in magazines and is represented in many collections and anthologies. 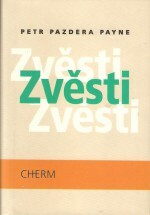 His first book to be published was a collection of variations on biblical stories called Nečekaný čekaný (The Unexpected Expected, Cherm, 1999). The short-story collection Kol dějů (Around Events, Cherm, 2001) also contains the memories of a boy called Uhranut from the period of Normalization in Czechoslovakia. This was followed by the short-story collection Zvěsti (Rumours, Cherm, 2002). 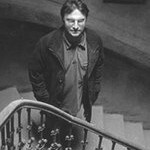 “The slight, almost minimalist prose of Petr Pazdera Payne is not only charming at first sight; it rings true. Inside is concealed humility, wisdom, but also lust. And they are evidence that the correct choice of words – those Democratus clippings – can express many important things, and there is no need to add any spell or incantation. Perhaps only one small, modest request – a little prayer: “God, You who kneads us all, have pity on this clay…” wrote Bára Gregorová, citing the author, in a review for the magazine Host. The novella Lyonský omnibus (The Lyon Omnibus, Cherm, 2004) tells the story of the last man from the aristocratic Adler family who is torn from his ordinary world. 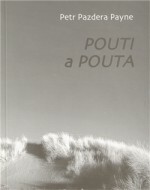 There are similar existential themes in the short stories from the collection Figury, figurace, figuranti a figuríny (Figures, Figuration, Figurants and Figurines, Medard, 2005), in the texts from the collection Pouti a pouta (Handcuffs and Shackles, Theo, 2011), as well as in the short stories arranged as the cycle Předběžná ohledání (Preliminary Examination, Cherm, 2014): “Often we find that at the centre of attention are individuals ‘in motion’ – on a journey or escaping, whether it be in the physical or figurative sense; most often, of course, in both. Individuals searching for something or someone. In the short stories we capture them at a particular moment, often from an internal, psychologizing view of a spotlight, or into the plot directly involving the narrator,” explained Marek Lollok in iLiteratuře.cz. 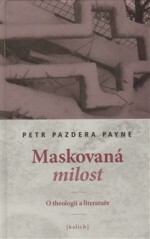 The book was nominated for a Magnesia Litera. As a poet Payne published the bibliophile’s prose poem Cirkus Hippolyt (The Hippolyte Circus, Medard, 2005), while several of his poems have also been published in magazines. He has also published a collection of sermons, Co je ti do nás, Ježíši Nazaretský? (What Have You to do With Us, Jesus of Nazareth? Eman, 2002), and essays on theology and literature, Maskovaná milost (Masked Mercy, Kalich, 2009).